This forum is where you can show off your art, such as emulator software skins, DVD and CD covers; or discuss other art-related topics. 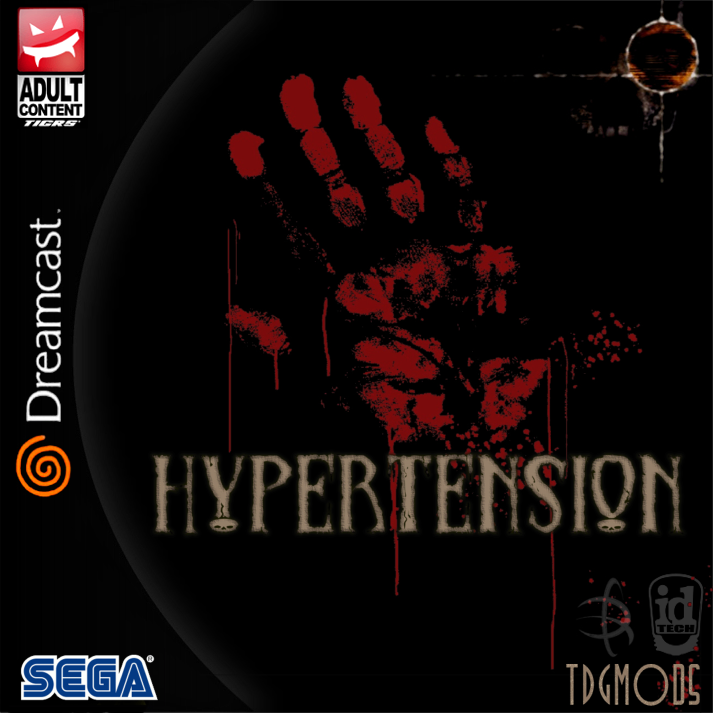 Hypertension's DC Cover. It's bound to hit at least one more revision, but our media publisher did a good job with it. Thanks Jaun, you're always a pal. I'm probably going to end up redoing the border and a few other elements myself. Nice covers. I can't wait to put them on a case, with the game inside. Stryfe wrote: Nice covers. I can't wait to put them on a case, with the games inside. If this works the way we are hoping it does, that should be plural. Media guys sent me another version, I personally like this one more. It's streamlined, more colorful, and more uniform. 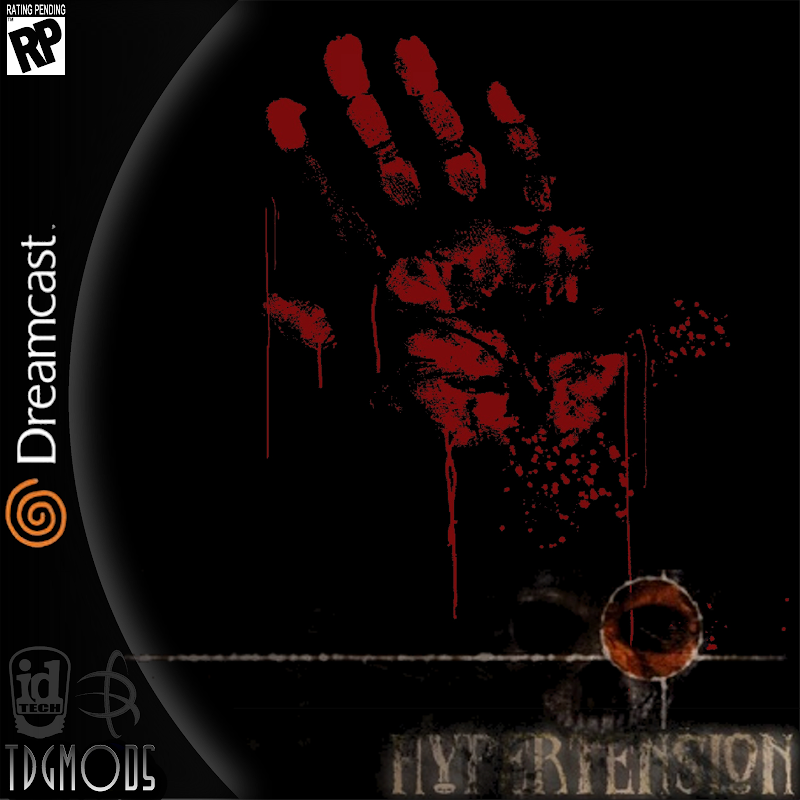 They also got the game rated early through TIGRS, which is why their logo is now on the cover art. The logos were pushed all the way to the right, and the margin was widened. Dreamcast logo was saturated a bit more, the glow around the border was toned down, and they made the Sega logo more prominent. All in all I like this one better. Yes, I also like that last one better. <--might need to refresh page. The image looks cool, but does the ghosted image have some relevance to the game content? Yeah - she's the new main character in the game. It's supposed to give a creepier feeling because that's what her scenario is about, and that's the more original part of the game we're trying to market. Yes it does... I was just asking, and I'm still looking forward to it. I'm not a big fan of puzzle, top down racing, or scrolling shooter games. This is the next indy DC game to get, for myself at least. Seriously, man... do it Japanese style!